FOUR OF THE THREE MUSKETEERS (2016). By Robert S. Bader. 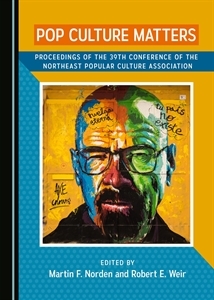 Northeastern University Press, 544 pages. 2016. I am a Ma rxist—a devotee of Groucho, Chico, Harpo, and Zeppo. I’ve seen all the films numerous times, read every book I can get my hands on, seek out new documentaries, and scour DVDs and YouTube for lost clips. But until Robert Bader’s new book, my Marxist education was weak concerning their vaudeville days—those years before durable recording devices or movie cameras were there to capture moments in time for posterity. Bader—who also writes and produces for Warner Brothers—has unveiled a work that is meticulously researched and encyclopedic in scope. It’s not news to scholars that many Marx memoirs­—Groucho and Me, Harpo Speaks, Growing Up with Chico, etc.—are filled with inaccuracies dutifully repeated by biographers and passed off as truth. Lots of these tales were embellishments and some were outright fabrications, but Bader forces us to consider that many resulted from the memory lapses anyone might have who led such a vagabond lives as the children of Minnie Schoenberg Marx. She was the ultimate obsessed stage mother—determined that her children would make it in show business like her brother Al, part of famed comedy duo Gallagher and Shean. When Julius (Groucho) showed talent for singing, she pushed him onto the stage—his brothers to follow. Today, most people think of the Marx Brothers as film stars. From 1929 through 1949, the Marxes made 14 feature films and only Charlie Chaplin rivaled their comic fame. Overlooked in the big screen glamour is what it took to become stars. From 1905 on, the brothers toiled in vaudeville in a dizzying array of ensembles and acts—mostly musical variety sketches; their comedy evolved organically. Because the conniving Minnie angered vaudeville’s biggest booker, B. K. Keith, the Marxes were shut out of a lot of Eastern theaters and Minnie moved her family to Chicago so she could develop hinterland bookings. For her sons, it meant a whirlwind existence of three-a-day performances, split bookings, and if-it’s-Tuesday-it-must-be-Nacogdoches travel. Their grueling schedules were such that troupe members—often including Minnie–came and went quickly. Sometimes key members quit in the morning and instant replacements were readied for the afternoon curtain. It’s no wonder that the only reliable names the lads retained were those of the chorines they bedded, though that was quite a few! 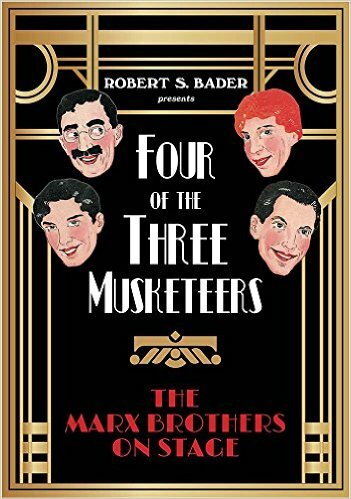 Bader has sifted through playbills, newspaper advertisements, reviews, and archives to the degree that he knows the Marx Brothers performance schedule better than they ever did, and he corrects details in the extensive Marxian literature trove. Along the way he reveals little known tidbits, one of which might startle: Leonard’s (Chico) legendary gambling addiction was real, but the bonafide bad boy of the family was Herbert (Zeppo! ), a street punk who was lucky to make it to adulthood. He also gives accurate particulars of events such as Groucho’s first use of a greasepaint moustache, how Arthur became Harpo, how the Marxes stumbled into comedy, and how many of Groucho’s patented “ad-libs” were not. That last point is critical. If the Marxes look natural on the screen, it’s because they spent time on the road perfecting small bits, such as the pilfered silverware falling from Harpo’s baggy clothing gag. The Marxes were workhorses until they finally had a Broadway hit with “I’ll Say She Is” in 1924, but they never really left the circuit; both The Cocoanuts (1929) and Animal Crackers (1930) were stage hits before they were films. Movies sounded the death knell for vaudeville in the early 1930s and closed a lot of “legitimate” theaters as well, but the Marxes continued to travel to test sketches and songs before they made they shot their films (and sometimes during). They continued touring into the early 1940s, by which time they were rich and tired enough to stop. In a palpable way, though, the vitality of the movie Marxes ended with their tours. Does anyone think that a Night in Casablanca (1946) is one of their great films, or that Love Happy (1949) has much to offer other than an early Marilyn Monroe performance? We are indebted to Bader for his exhaustive research. My only nitpick is that Four of the Three Musketeers is also exhausting in places. Bader has compiled a vast array of material, but his insistence on presenting it all makes sections of the book read like a chronicle. You will savor this detail if, like me, you are a Marx Brothers fanatic, but many of his revelatory corrections will be lost on those unaware of the errors in the first place. Marxist comrades might disagree, but I think that shorter, snappier synopsis with expanded explanatory footnotes would have fit the bill better. Still, Bader’s book is indispensible for any Mark Brothers research project.